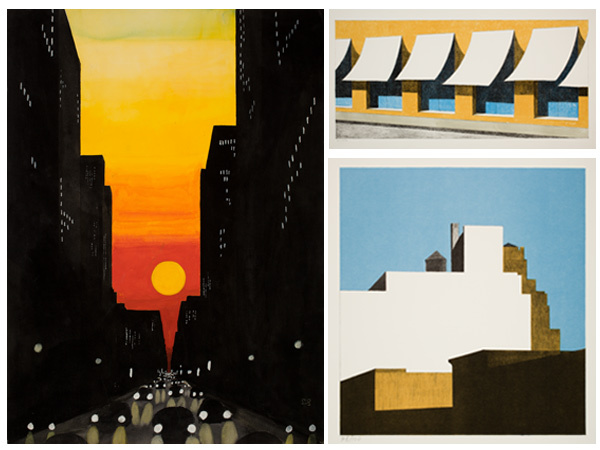 With a brilliant color palette combined with strong plays of light and shadow, Cuban born Emilio Sanchez (1921-1999), creates stylized images that reveal the abstracted stillness of manufactured environments. His architectural works from New York and the Caribbean stand out with simplified forms where all unessential details, including a human presence, are eliminated. These stripped down structures take on a universal meaning where the images become a study of color, line and form. Presenting a combination of two themes, images of New York and the Caribbean, the exhibition highlights Sanchez’s contributions to Modernism that he developed in Latin America and the Caribbean and brought to iconic American imagery. His work demonstrates the internationalism and colonial influences that contributed to the development of American art.